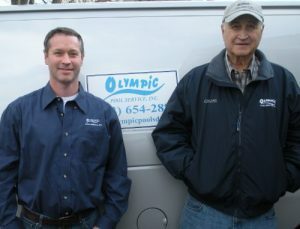 Olympic Pool Service, Inc. is a family owned and operated business that was established in 1964, and incorporated in 1978. What was once a small, traditional swimming pool service company has expanded into a mid-sized company that now specializes in concrete pool repair and renovations. We take pride in providing high quality work for our customers, and have a strong customer base – some who have been with us for more than 30 years. We welcome new renovation and repair customers in New Castle and Kent Counties in Delaware; Delaware and Chester Counties in Pennsylvania; and Cecil County, Maryland. Our company has been an active member in our national trade association, the Association of Pool and Spa Professionals, and our regional trade association, North East Spa and Pool Association, since 1982. Olympic is also a member of the Penn-Jersey Chapter, which is one of five chapters in Region 1 of NESPA. 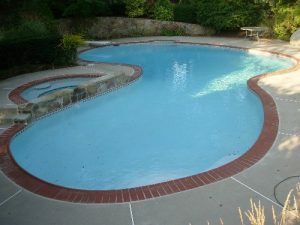 We specialize in customer friendly in ground concrete residential pool renovations. Some of our renovation work has won awards at our annual Penn-Jersey Pool and Spa Awards Banquet. Certified Service Technicians and Certified Service Professionals (formally Certified and Tech 2) on staff. We are licensed and insured. Joe and Mike, Beautiful job on the Tile and coping, can’t believe you did it all in one day. – – – A. S.